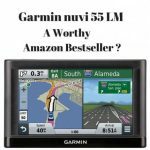 GPS Navigation Problems – terrible sat nav mishaps - Which Sat Nav? Recently it seems that blindly following the sat nav and finding oneself in a bit of a pickle is becoming all the rage. These incidents are rather amusing to watch on the computer but they can cause lots of damage and endanger life. GPS navigation problems are being blamed by the drivers for these situations. What though is the truth? Is the sat nav really to be blamed for these incidents? By and large we as drivers tend to religiously follow the instructions of the GPS. Nothing wrong with that you may say. The directions are usually fairly straightforward and easy to follow. Turn left. Go straight ahead. Take the next right. Simply do as you are told and you will get to your destination. Great stuff. Or at least it is if you get there without a mishap. stop and get out of the car? Do you turn the car around and let the device reroute you? Or, would you just keep on driving because you trust your sat nav implicitly? Naturally we’d prefer to think that we would stop and not drive into any dangerous situation. A number of media outlets have been reporting incidents where this is clearly not the case. It would seem that not everyone thinks the same way! Check out this video clip from Komo 4 News reporting on three women who drove their SUV into a lake! They had found themselves lost on the way home from a conference one evening and therefore were totally reliant on their sat nav. Thankfully the women were ok but they blamed a bad GPS for their predicament. As the fireman enquired why would they not question driving into a puddle that never ends? A fair point well made I’d say! What would you do in this situation? Are you certain that you’d stop before driving into the lake? We’d probably all nod our heads and say that we would most certainly not drive into the lake. However, there’s lots of cases of drivers finding themselves in entirely avoidable situations. When should our common sense supersede the instructions provided by the sat nav? Most of these incidents tend to take place when drivers are on unfamiliar roads. In my experience on strange roads you tend to pay more attention to your surroundings. Yes, I do still rely on the sat nav for the directions but, I am absolutely free to disagree with my GPS. If I don’t believe that the route offered by the GPS is the best route to take, then I ignore it. Whatever route I then take the sat nav will recalculate and provide an alternative. Drivers don’t just blame the sat nav for driving into lakes. Another favourite past time of these little GPS devices is to get trucks stuck under bridges. Yes that’s right, they love to send trucks and lorries under bridges that they cannot possibly fit under! The latest reported incident took place in Wimbledon, London where according to local residents at least one truck a month gets stuck under this bridge. 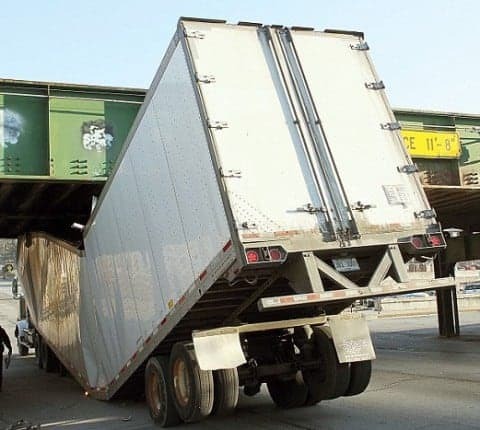 Truck drivers surely have a responsibility to know the height and width of their vehicles? I know that when I drive into a multi storey car park that I need around 1.90 metres of clearance. Any less and I will damage the roof of the vehicle and probably rip down a few pipes from the fire safety system or the ventilation system. Either way it’ll end up being an expensive and completely unnecessary incident. Surely if the bridge is too low for your vehicle and there are signs warning you of the height clearance – then you really shouldn’t be getting yourself stuck. Perhaps I’m missing something but shouldn’t ‘old common sense’ come out to play once again for these drivers? Trying to drive a 7 foot truck through a 7 foot laneway will always end in heartbreak. What we are not told from the report is whether or not the driver was using a standard sat nav or one with specialist maps for ‘large vehicles’? These drivers getting into some quite ridiculous situations do provide some quality entertainment. However, there are a number of measures that we can take to prevent anything similar happening to us on our journeys. Ensure your Sat Nav Maps are always up to date. If your driving a truck then make sure you have specific maps for truck drivers. This will provide you with the truck stops on your route (very important!) and the height and width of the bridges you’ll encounter on your way. Always be prepared to ‘disagree’ with your sat nav if your not happy with the route. The worst that can happen is that you’ll be routed a different way. If the sat nav insists on sending you back that way then ask it to avoid the obstruction. This last video shows the importance of having the correct GPS if you drive a truck. Here an articulated lorry damages the side of a house. From the animated conversation that takes place we learn that he’s driving not with a proper sat nav for his vehicle but a standard car sat nav. We also learn that this particular house has been damaged previously in a similar manner. Truck drivers should be better informed as to which sat nav devices will work for them. Perhaps the authorities should introduce some mandatory checks to prevent these incidents from happening. Let me know your thoughts in the comments section below. 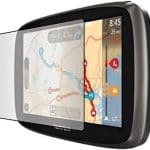 Sat Nav Screen Protector - should you get one?